Firstly, apologies to anyone under 60 to whom many references in this review may mean very little. 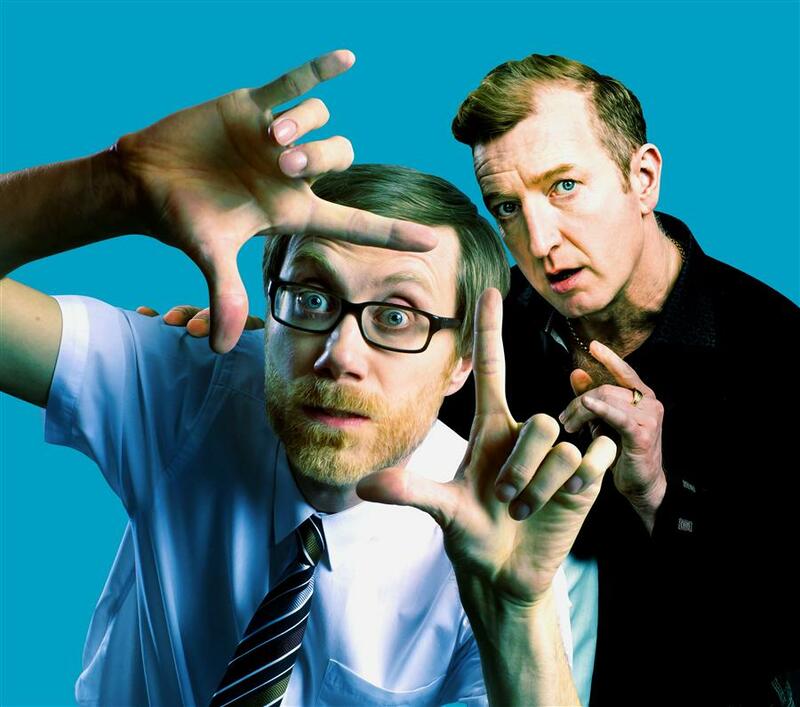 With this comedy, first staged by the National Theatre in 2002, Richard Bean (oddly only 59) has tapped into a brand of humour usually thought to be uniquely British, although it probably isn’t. Think of the curmudgeonly, cantankerous so-and-so who frequently starts sentences “what’s wrong with this country is…”; think of the melancholic dreamer who invents hair-brained schemes to put things right but is always thwarted; think Basil Fawlty, Victor Meldrew, but above all, think Anthony Aloysius St John Hancock. It is probably recognition or part of him in all of us that makes this type of character so enduring. Bean’s creation is known simply as Ted, down on his luck, blaming someone or something else for everything and developing a preposterous idea to turn things round. He comes up with marketing a lifestyle plan that confounds all the theories of “the mentalists” (meaning Freud, etc). As Ted is played by Stephen Merchant, co-writer of The Office, it is neat to say think just a little bit David Brent, but let’s stick with Hancock. Merchant may not look like the man from East Cheam, but, sure enough he sounds like him and, with an equivalent of Sid thrown in, we are treated to something like Hancock’s three half-hours plus interval. Ted’s foil is Morrie (Steffan Rhodri), a more grounded if slightly dodgy hairdresser turned amateur video maker. We meet the pair in a cheap hotel room in Finsbury Park, where they have come to shoot a film to promote Ted’s scheme. The room in Richard Kent’s set is fairly recognisable, if slightly larger than normal and not quite as ghastly as described in the script. The play begins with a torrent of one-line gags, which puts Merchant immediately into his comfort zone and Bean adopts a slow reveal technique to tell us the characters’ back stories, explain how they came together and expand on their reasons for being in Finsbury Park. Unfortunately, we are not told enough during the first half of the play to hold our interest when the gags dry up and Abbey Wright’s production hits a very soggy patch in the 15 minutes or so leading up to the interval, when thoughts of an early exit start to occur. Act II is much better and more consistently amusing; the characters become well-rounded, the comedy becomes darker and there is even a dash of pathos added to the mix. Taken as a whole, The Mentalists is undemanding light entertainment, but, for us senior citizens, it has a bonus ingredient, that of nostalgia.